How could I resist after yesterday’s close up. 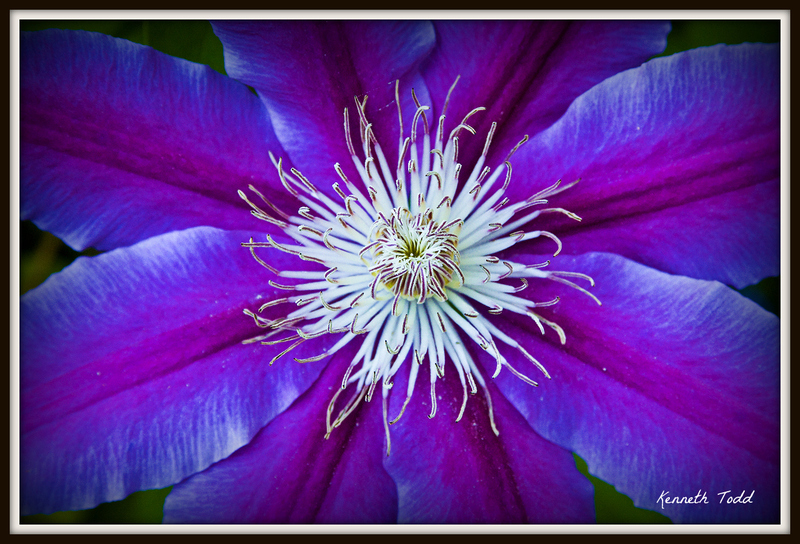 This one is a just a regular shot of the Clematis. Shes is lovely. Wow! That is just stunning! This is gorgeous! Did you do anything to enhance the color – or is that all Mother Nature’s doing? ALl I do is balance the color of taking photo in the shade. I try to keep my photos of flowers and such as natural as possible.